Charity is supposed to help those in need. However, charities are being stifled by outdated technologies and antiquated processes, which see exorbitant settlement and administration fees imposed by payments operators such as Visa, Paypal and MasterCard. A solution was needed to counteract the dominance of administrators. 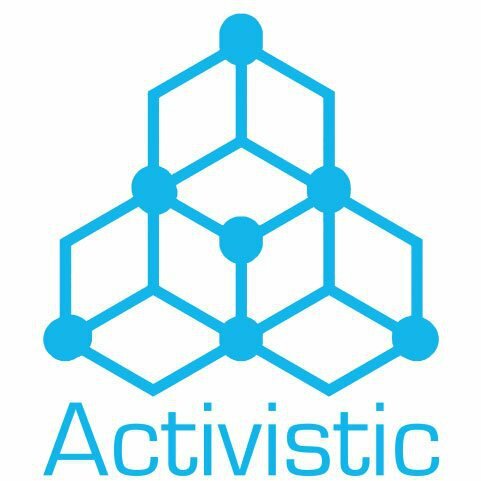 Is Activistic (ASX:ACU) the company that can provide this solution? ACU has created a micro-donations technology that puts the spoils of fundraising back in the hands of those who matter. Its tech changes the way donations are made. More specifically through its apps, charities receive more of the money that is being donated, while donors are given full disclosure about how much money is making a difference. Finally, through its app downloads, ACU is able to make money via partnerships and vertical pathways that puts the company in front of veterans, politicians, church and celebrities. Launched at the end of last year, ACU’s tandem apps (Ralli in the UK and Veteran’s Call in the US) are gradually picking up steam, aiming to generate increasingly larger revenues over time as awareness and popularity grows. In fact, downloads are rapidly increasing. In just two weeks in February, ACU’s Veteran’s Call app went from 10,000 downloads to 15,000 downloads . That’s 50% growth in just 14 days. That should be music to the ears of shareholders, who can start to see where their returns could come from in the longer-term. However, this is still an early tech play, and ACU has some distance to go before it gains market saturation, so take caution when considering this stock for your portfolio. To help with the growth, ACU is building a star studded global team to unleash its product on the world and speed up the roll out of this potentially game-changing technology. Meanwhile, ACU secured a five-year partnership with New England Centre and Home for Veterans in the US and agreements with several UK charities including Children’s Heart Surgery Fund, Scotty’s Little Soldiers, Grass Roots Suicide Prevention and more. What impresses us most about this technology play is that these apps make every donated dollar count and allows donors to micro-donate directly from their mobile phone bill. This cuts out the middleman, notably the payments administrators. ACU could become the preferred conduit for charitable giving worldwide, earning a conservative 6.9% in donation fees, much lower than is currently standard. By presenting a real, workable alternative to the status-quo, ACU is now on the march to sign-up even more charities and organisations that could benefit from its modus operandi. Companies, individuals, start-ups and even sports teams often look to their members for financial support. Wielding ACU’s technology, they are all able to raise money faster, cheaper and with added functionality that delivers what donors want – information. 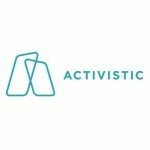 Activistic Ltd. (ASX:ACU) is in a prime position to disrupt the charitable giving industry and change how organisations raise money. We have covered ACU several times in the past and have been following its development with keen interest. For a background to ACU’s story, you may want to take a look at our initial article, ASX Fintech Company Launches into $1 Trillion Global Industry . Since the story was first published in June last year, we have updated our readers in the articles, $1 Trillion Fundraising Industry to be Super Charged by ACU’s Game Changing Tech and most recently Mobile phones and micro donations: ACU makes every dollar count by signing big global partners . By allowing people to use their mobile phones/mobile phone bills to make periodic donations, ACU has effectively found an unbeaten track that matches donors with charities. Charities receive more funding, while donors receive more information and transparency, under an umbrella of security that deems credit cards not required. ACU makes money through its growing number of partnerships as well as through the increasing number of people wanting to download its apps and put donations back in their control. Here’s snapshot of the business model. Most people don’t give to charity for fear of their personal information being misused or lost. And when they do give, it’s usually on a one-off basis that doesn’t help the charity for long. ACU alleviates these bugbears through an innovative online platform acting as a central distribution hub between charities and donors. Rather astonishingly, payments processors currently slice off 38% of each donation made to charities across the globe which means charities are able to achieve rather less than they would like to. ...by employing clever tech geared to the use of smartphones that can get them out of it. The entire premise of ACU’s business model is leveraged to the growing use of mobile phones and social interactivity they now provide, through multimedia applications and instant connectivity. With advantages to beneficiaries stacking up just as high as the advantages do for donors, ACU has developed an innovative solution that helps all those involved in the fundraising process. By focusing on mobile-phones, ACU is able to deliver its service features more quickly, and by design, allow beneficiaries to reach out to their donors with a lot more interaction. Already, there are around 2 billion smartphones in the world today, with that number expected to rise above 9 billion by 2020. Now according to ACU the total giving to charitable organisations in 2014 was +$358 billion in the US , with more phones than people floating about, that $358 billion could grow exponentially as ACU’s platform makes it easier to donate. Not only that, but due to the lack of financial regulations, ACU can even receive donations from people under the age of 18. From a commercial perspective, ACU is barking up the right tree. ACU is the only organisation that can accept repeatable micro donations via a mobile phone bill in the US$358BN US market, due to its first mover agreement with a direct billing aggregator. That means its potential long-term market dominance could be assured quite quickly. However even with that in mind, ACU is still in its early stages and professional investment advice should be sought. Meanwhile, ACU has also turned its attention to using its technology to achieve big things in the UK as well as the US and Australia. To specifically target the United Kingdom, ACU launched its Ralli app which offers users the opportunity to donate to 8 different charities based in the UK. The Ralli cause has been greatly helped with the recent appointment of Howard Lake to ACU’s Advisory Board . Mr. Lake founded fundraising.co.uk in 1994, helping organisations take advantage of developing technology in order to raise money. In 2009, Mr. Lake was voted the 25 th most influential person in fundraising by Professional Fundraising magazine. Having spent over two decades working within charities such as Oxfam, Afghanaid and Amnesty International, Mr. Lake’s expertise is expected to boost Ralli’s traction within the UK over the course of 2016. Helping Mr. Lake is Mr Felix Daniel as the new Business Development Manager (BDM). Mr. Daniel has been appointed to develop charity partnerships and will be responsible for the UK launch campaign of ACU’s Ralli app. He will also be responsible for gaining nationwide app downloads and donations. The pair will be inspired by ACU’s new UK offices, which sit right in the heart of London’s Silicon Valley . In fact they will be sharing a space with ride-sharing giant Uber as well as other inspirational start-ups. Across the Atlantic in the US, ACU is also making good headway. Veterans Call is ACU’s flagship application launched in the US in November 2015. 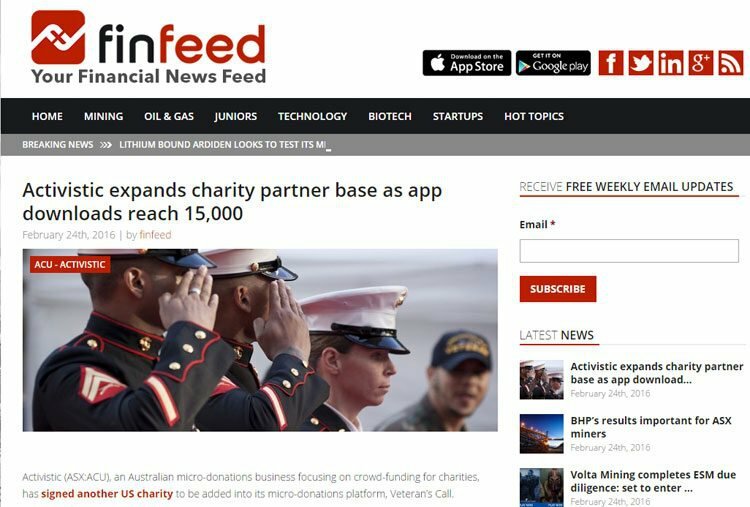 It specialises in obtaining donations for US war veterans and is already gaining popularity. Since launching Veterans Call, ACU has on-boarded eight charities into its portfolio with more to come. Veteran’s Call is gradually growing its popularity amongst the US public with celebrity reinforcements expected to be drafted in soon. Having been operational for just over two months, Veteran’s Call has now reached 15,000 downloads, rising by 5000 downloads in just one month. This is a good start considering ACU has not committed any serious spend on marketing and advertising just yet. However, that is about to change with the appointment of Mr. Jeremy Bassett-Smith as Head of Product and digital marketing specialist Mercedes Madinire as its US Head of Marketing. Ms Madinire joins ACU immediately and will be responsible for driving ACU’s proprietary apps forward including developing future pipeline partnerships. She is highly experienced, with a 14 year track record and will be based in ACU’s New York office. Ms Madinire will handle go-to-market strategies, charity partner relationships, direct marketing and PR, with a strong focus on donor acquisition and engagements. Previously, she had worked as Head of User Acquisition & Engagement at US payments company Softcard, which was bought out by Google in a recent takeover deal. She also spent time with Westpac in digital marketing and eCommerce roles. Mr Bassett-Smith has been tasked with the execution of Veterans Call as well as Ralli and according to ACU’s Executive Chairman will industrialise the company’s approach to its product, including constant app upgrades to improve the products – sounds like ACU is ramping up its production of technology, which can only be a good thing for the long term growth of the company. This digital marketing expert will also be tasked with minimising the time to market of any new white label product. ACU’s intention is to use the platform to roll out and grow white label platform solutions with partners in the US and beyond. ACU believes that Veterans Call’s 15,000 downloads is just the tip of the iceberg, hence the recent appointments to push the platform into broader markets. Remember, however that this is still a junior play and growth may take a little more time, so apply cautions when considering this investment for your portfolio. When the GFC hit, it hit everyone in their pockets, with many people and organisations taking a step back from their charitable commitments. And just as people’s willingness to give has waned, the cost for charities of raising money has increased. This combination of factors has made work even more difficult for charities that are already running at cost just to survive. 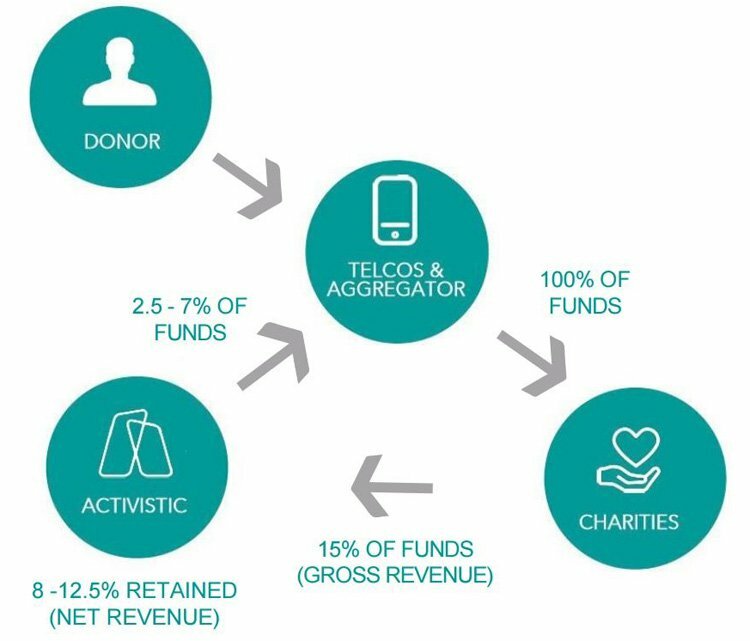 Australian charities spend an average of 22% on fundraising including giving away 38% of all donations to payments processors. Funds are becoming increasingly difficult to obtain, leaving charities in the precarious position of having to use more of their donors’ money to fund administrative tasks. With ACU now in full operation, the landscape of fundraising and charitable giving is subject to change. This is great news for ACU’s shareholders as its technology disrupts the market to bring new partners on board and make more people aware that its apps, put the power of donations back in their hands. But what do the experts think about charitable giving in today’s day and age? 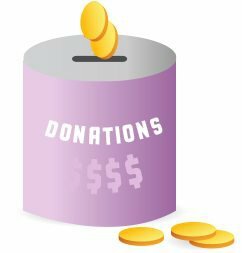 According to NAB, more channels for donation and a strong desire to give digitally, explains some of the reason why future charitable giving and fundraising is likely to be done online. For now, online scoops up only around 6.4% of total donations which means there is plenty of room to grow for online fundraising. For ACU, this trend works a treat given its focus on giving via a mobile phone app by using mobile phone bills. It’s about time someone came along and blew a breath of fresh air into fundraising – and ACU has raised its hand as a candidate considering what its platform brings to the table. It’s a 21 st Century idea, for a $1 trillion global market still languishing in the 20 th Century. 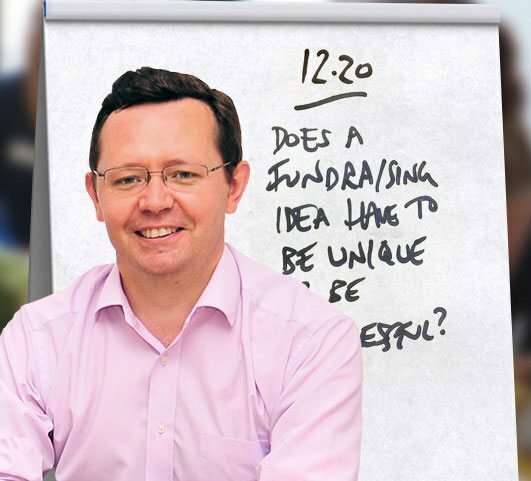 When looking at raising charity fund, one New Zealand-based company is currently setting a benchmark for others to follow. ...and ACU wants to emulate this path but in Australia. 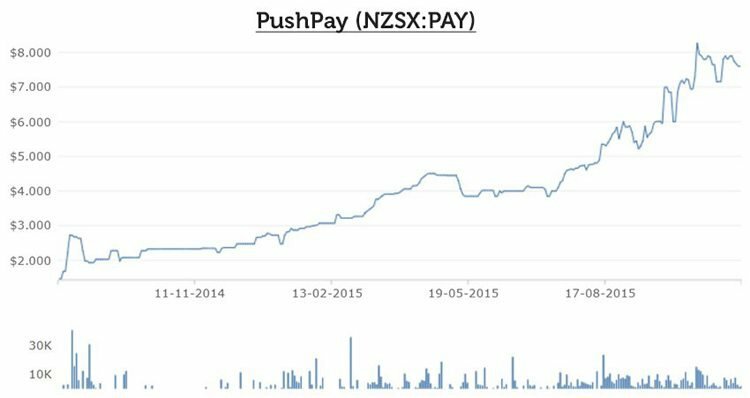 PushPay is capped at A$364.8M compared to ACU’s market cap of A$10M. Despite the two companies seemingly being doppelgangers, what they do and how they do it are very different. PushPay tries to get people to use credit cards to make the donations and is purely a payment tool. ACU on the other hand can access everyone from 14-90 years – anyone who has a mobile phone – and is more than just a payments platform. ACU is a whole new way for charities and donors to engage in 21st century fundraising. ACU has completely different tech that makes the donation process easier and more transparent. The other difference between the two is that ACU is at a much earlier stage of commercialising its strategy and building up its brand. This is a good sign for investors partial to ground-floor entry investments. If and when ACU gets mass traction and recognition, ACU will be hoping to emulate PAY’s share price performance. Although as all investors should know, there are no guarantees – ACU’s success is speculative, and professional advice should be sought when considering ACU for your portfolio. With over 90% of charitable donations currently being done ‘offline’ via cash, debit card or cheque, it could be time for the giving industry to finally join the online revolution – and first mover ACU is front and centre to capitalise on this shift. All four channels are being actively explored with Veteran’s Call currently leading the charge. ACU wants to change the current status-quo by inspiring social change. To do so it has appointed four key personnel, attracted new charity partners, moved into London’s start-up tech hub and introduced new charities to its platforms. All of that in just a few short months. Charitable giving will eventually join the modern world, leaving no room for opportunistic payments processors charging exorbitant fees. And ACU is leading the charge with disruptive technology and a platform that can reach more people and facilitate more funds reaching their destination. ACU have a solution charities and donors have been waiting for, and one that payments processors have been dreading for years. The time has come for a trailblazer embracing the digital information age, to sweep up the archaic way funds are currently raised and drag it into a 21 st Century alternative. New ACU Partnerships Turbo-Boost Growth – Revenue to Follow? Can ACU Reach 35 Million Sports Lovers Through New SportsBlog Deal? ACU Ink Deal with $60M Charity Tied to Google and Home Depot: Mass Uptake Imminent?